A tax preparer, John M. Moore, 53, was sentenced to 78 months in federal prison for filing false tax returns that cost a Kansas company more than $744,000. Moore pleaded guilty to one count of filing a false tax return and one count of wire fraud. In his plea, he admitted a company he owns, Accent Payroll Services (APS), was hired to provide payroll processing services for Tytan International L.L.C. of Lenexa, Kan. From 2008 to 2010, APS was responsible for paying the wages of Tytan’s employees, withholding employment taxes, filing Tytan’s employment tax returns on Internal Revenue Service form 941 and paying withheld employment taxes to the IRS. Moore transferred more than $2 million in employment tax withholdings from Tytan’s bank account to his company’s bank account. However, he only paid the IRS approximately $1.3 million. To keep Tytan from receiving notices from the IRS that taxes were not paid, Moore gave the IRS an address for Tytan at a post office box he controlled. This entry was posted on Wednesday, February 4th, 2015 at 11:50 am and is filed under Uncategorized. You can follow any responses to this entry through the RSS 2.0 feed. You can leave a response, or trackback from your own site. 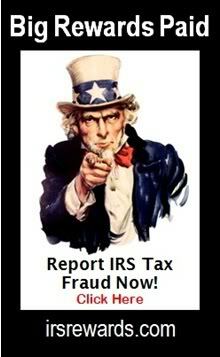 It seems like IRS scams are becoming more common nowadays.